Found 21 file extension associations related to Vue and 10 file formats developed specifically for use with Vue. Developer / company: e-on software, inc.
Vue is the most efficient and advanced solution for creating, animating and rendering natural 3D environments. It offers a high-end 3D scenery solution for SFX studios, animators, illustrators, architects, matte painters and CG professionals. It is strongly focused on power, productivity and inter-operability with existing toolkits. 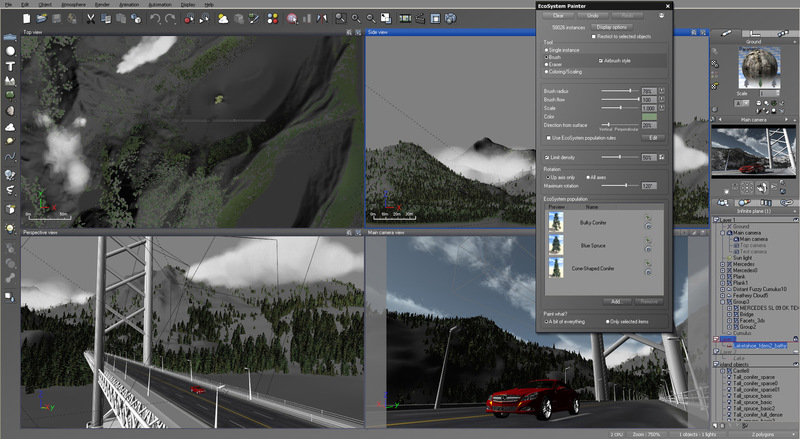 Vue naturally integrates and extends all major 3D applications to provide a complete, professional natural 3D studio. If you need more information please contact the developers of Vue (e-on software, inc.), or check out their product website.